Exclusive to Hotel Guests – Premium Package on Sale! 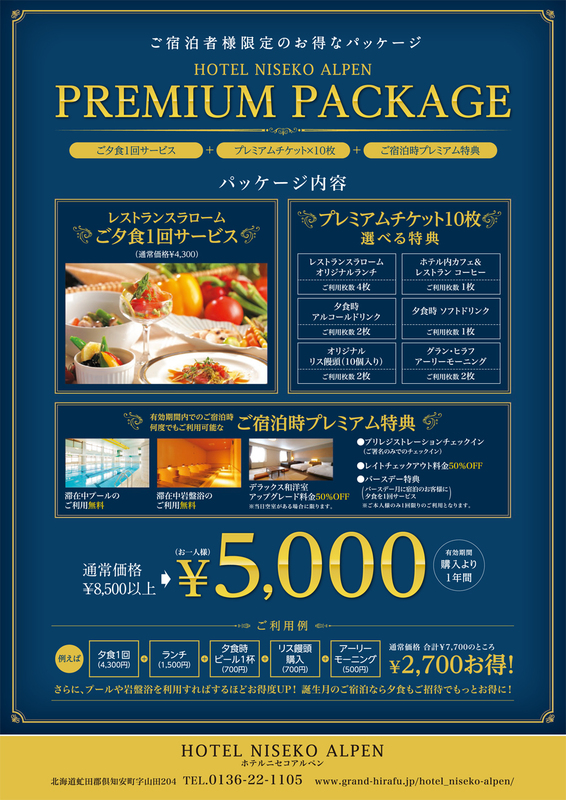 From January 1 2015, a “Premium Package” exclusively available to guests staying at Hotel Niseko Alpen will go on sale. The package contains one dinner and ten premium tickets which can be used in various way. What’s more, this Premium Package comes as a set with special bonus features that can be used an unlimited number of times when you stay with us during the period of validity. The sale price is 5,000 yen and the period of validity is one year from the date of purchase. 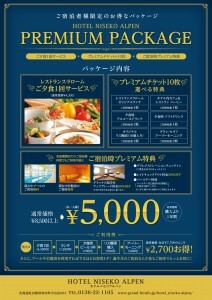 The Premium Package is on sale at the front reception of Hotel Niseko Alpen. *Please see the flyer for further details.